We’re open today, and sharks are on for tomorrow! The #BombCyclone has blown on by! It was a relatively calm morning after yesterday’s Bomb Cyclone, with 8 to 12 inches of snow and extreme winds blowing the flakes sideways and into drifts. Admittedly we had to skate our way into the Center before eight this morning, climbing over ice boulders thrown onto the sidewalk along Prince Street by snowplows, but we are here. We are grateful not to be among the nearly 80,000 customers in the Metro area without power this morning. 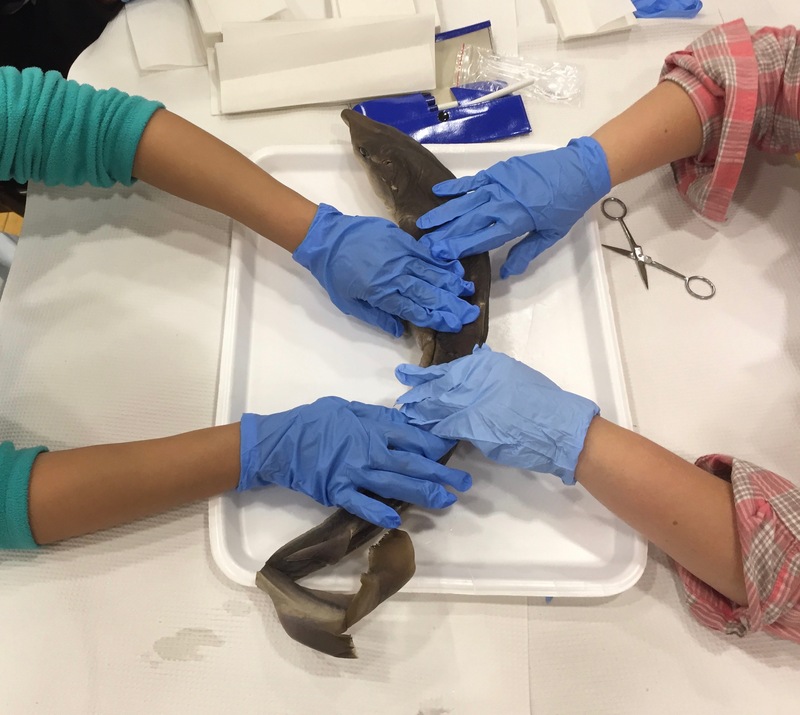 And we are on for tomorrow’s shark dissection with Arapahoe Community College’s Terry Harrison. We’re plowing and digging and de-icing our way out in plenty of time for that! And the sharks come frozen anyway! WHY DOES A SHARK GROW NEW TEETH? Usually, a shark’s mouth has several rows of teeth, therefore when they lose one because of struggling with prey or just because they are renewing it, the correspondent tooth from the row behind it goes forward to fill the space in the jaw. Sharks grow new teeth continually throughout their lives, and some may produce as many as 30,000 in their life. That’s an estimate.